Rutgers University has named Julie Hermann, a 15-year athletic administration official at the University of Louisville, as its new athletic director. Rutgers announced Hermann's hiring Wednesday. In her new role, Hermann will become one of just a handful of female athletic directors at top sports schools. According to The Chronicle of Education, five of the 120 athletic directors at Division 1-A schools in 2011 were female. Hermann was most recently Executive Senior Associate Athletic Director at the University of Louisville. She previously served as the head women's volleyball coach at the University of Tennessee. Rutgers athletics director Tim Pernetti told reporters after his resignation Friday, "I always have and I always will, no matter what, want what's best for Rutgers." 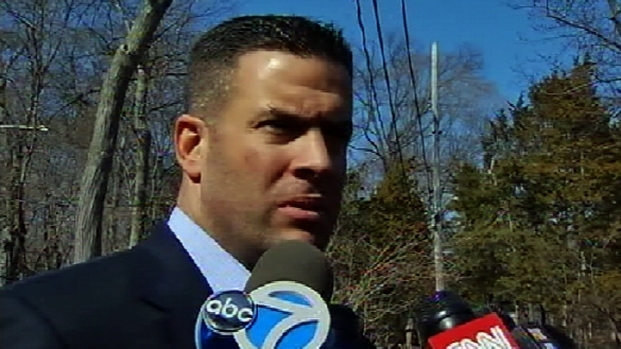 His wife Danielle told NBC 4 New York earlier Pernetti was "the best athletic director they could ever have." The hiring of Hermann comes a month after Tim Pernetti, a Rutgers graduate, resigned in the wake of the scandal involving men's basketball coach Mike Rice. Rice was dismissed after a video surfaced that showed him using anti-gay slurs and hitting, shoving and throwing balls at his players, prompting outrage on social media and sharp criticism from Gov. Chris Christie, NBA star LeBron James and the families of former players. The assistant basketball coach, Jimmy Martelli, also resigned amid the controversy. 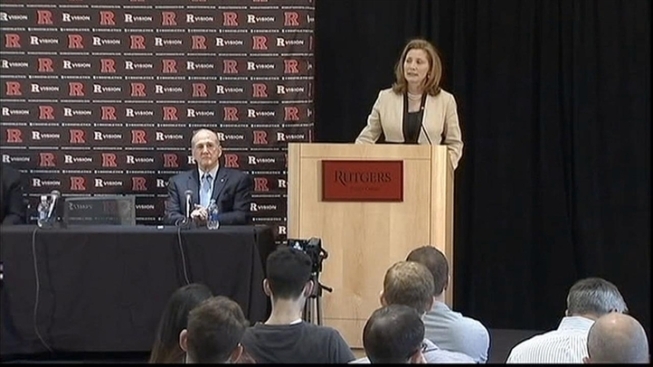 Rutgers President Robert Barchi apologized to the Rutgers community for the negative effect the video had on the school and said it does not represent the standards of leadership by which the university abides. He vowed to review all practice footage from school athletics to ensure no similar activity was taking place.